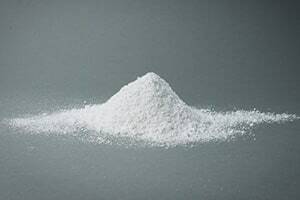 April 2018 Update: Another talcum powder verdict! On Friday, April 6, 2018, Johnson & Johnson and its talc supplier got hit with a whopping $37 million verdict and there may be more to come in punitive damages. This is not an ovarian cancer case. The big deal here is that this is the first case where the jury found that talc powder products contain asbestos. Talcum powder is a fluffy white powder composed of talc. Talc is a clay mineral that, when ground into powder form, develops the capability of absorbing moisture. By absorbing moisture, talcum powder keeps surfaces clear and smooth. These attributes made talcum powder especially appealing to the skin care industry. It became a popular ingredient in products used to keep skin dry and prevent irritation. Nurseries started using it in baby powders to prevent diaper rash. Exercise enthusiasts started using it to prevent chafing. Women started using it in eyeshadow and blush products. Other common uses include foot powders, deodorant powders, perfumed powders, and adult body powders. For most of us, it makes us feel fresher. Over the years, talcum powder's use expanded. Producers started pointing their aim toward intimate hygiene. Talcum powder became an ordinary ingredient in products applied to female genitalia. Women would disseminate talcum powder around their groin areas to prevent odor and increase personal comfort. This use of baby powder became extremely common. As women apply talcum powder products around their genitalia, specks of talcum can travel into the ovaries. These dangerous talc particles remain lodged in a woman's ovaries for years. It is alleged that talcum which remains trapped in a woman's ovaries leads to the growth of ovarian cancer cells. Is this the case? Most studies have found that talcum powder does increase the risk for ovarian cancer. However, these studies say that talcum powder only slightly increases that risk and the studies are based on people's memories of talc usage from years earlier. Conclusion: while it has not been proven as a definite cause, there is increasing evidence that women should avoid talcum powder because of its link to ovarian cancer. Talcum powder's relationship with ovarian cancer is not a recent discovery; the studies date back to 1971. Despite the numerous studies over more than four decades, talcum powder manufacturers have deemed the research inconclusive. More importantly, the manufacturers have not provided notice of talcum powder's very serious side effect on their warning labels. This omission has been the spark of recent litigation that has led to some stunning verdicts. The first talcum powder case: A woman is diagnosed with ovarian cancer in 2006. She is just 49 years old. Before her diagnosis, the woman had dusted Johnson & Johnson baby powder between her legs every day for 30 years. The baby powder contains talc as one of its ingredients. Multiple doctors found talc particles embedded in cancerous tissues removed from the woman's body. The woman filed a lawsuit against Johnson & Johnson in South Dakota District Court. She alleged that talc from the Johnson & Johnson baby powder had caused her cancer and contended that Johnson & Johnson should have put a warning about the link between talc and ovarian cancer on its products' labels. The court did not say that talc was the cause of the woman's cancer. However, the court said that there was enough evidence supporting the link between talc and ovarian cancer to require Johnson & Johnson to warn its products' users about the risk. This ruling busted the door open for future talcum powder lawsuits. February 2016, Missouri: $72 million Verdict: A woman dies of Stage 3 ovarian cancer at the age of 62. The woman had used Johnson & Johnson baby powder for 35 years. The woman's son brought a lawsuit against Johnson & Johnson. He claimed that talc contributed to his mother's cancer. He also claimed that Johnson & Johnson violated that standard of care by not putting a warning about the link between talc and ovarian cancer on its label. The jury awarded the woman's family $72 million. What is startling is that only $10 million was for actual damages. The other $62 million was for punitive damages- $1 million for every year of the woman's life. May 2016, Missouri: $55 million Verdict: Very similar to the Missouri case. A woman is diagnosed with ovarian cancer at age 62. She had been using Johnson & Johnson's talc-based products for almost 40 years. She sued Johnson & Johnson and a jury awarded her $55 million. Of the money awarded, $5 million was in compensation and $50 million was in punitive damages. These rulings resulted in an explosion of talcum powder litigation. Class action lawsuits have since been filed in California, Illinois, and Canada. Johnson & Johnson is now the defendant in over 1,000 lawsuits linking its products to ovarian cancer. It will be surprising if thousands of additional claims are not filed shortly. Do these verdicts mean the settlement value of your potential talcum powder lawsuit is between $55 million and $72 million? No, the expected settlements in even the best of cases will be much lower than that. But these verdicts underscore the obvious: these claims have real value. If you believe your ovarian cancer may have been caused by talc, you should contact an attorney immediately. For a free legal consultation to determine whether you may be entitled to money compensation for your injuries, contact the lawyers at Miller & Zois by call 800-553-8082. You can also reach us by filling out this free case evaluation form.